is located at 72nd Street and Central Park West in the Upper West Side of Manhattan and was completed in 1882. This building was designed by Henry J. Hardenbergh and stands 110 feet tall with 10 floors. 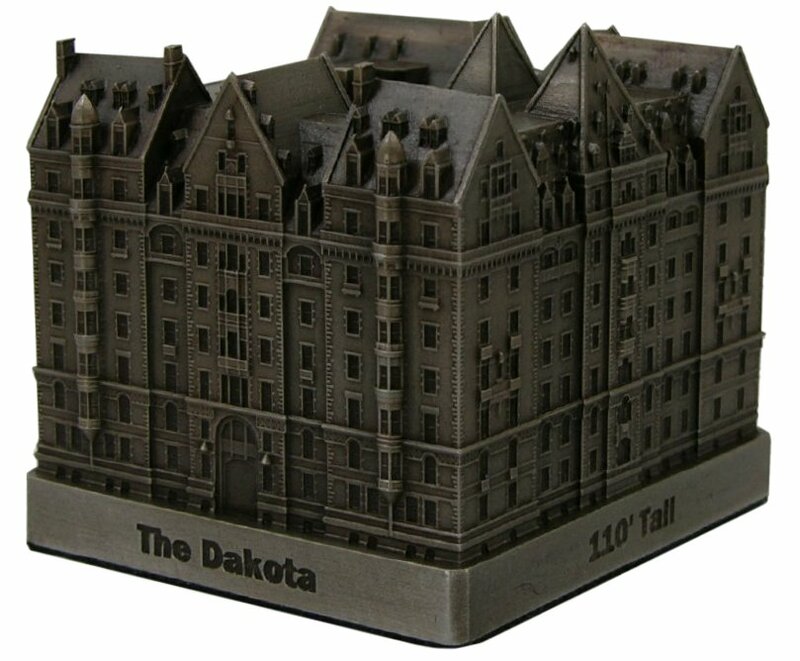 The Dakota houses and has housed many famous entertainers throughout the years. One entertainer, famous musician and peace activist, John Lennon was shot four times in the entrance hallway to the Dakota and died on that very spot on December 8, 1980. This pewter replica stands 3 inches tall and is finished with a brown stain.